Manie Wright and his team at PAPAZ bistro welcome you! 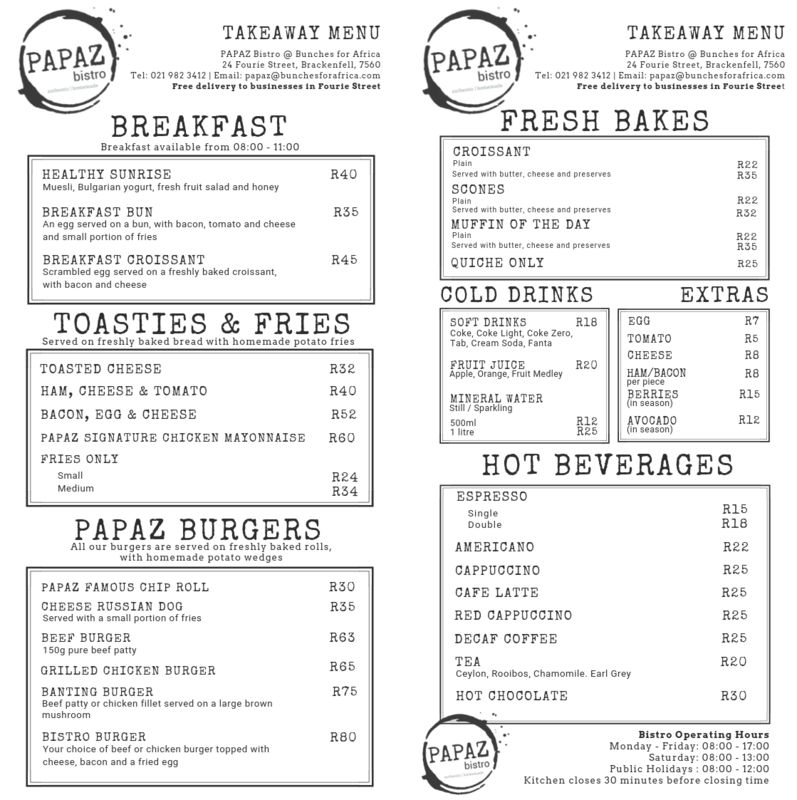 The new PAPAZ Bistro opened at Bunches for Africa on 15 August. We can accommodate up to 50 people for a private function. Our offering includes breakfast, lunch, dinner and platters. View our function menu for small groups of minimum 20 people. 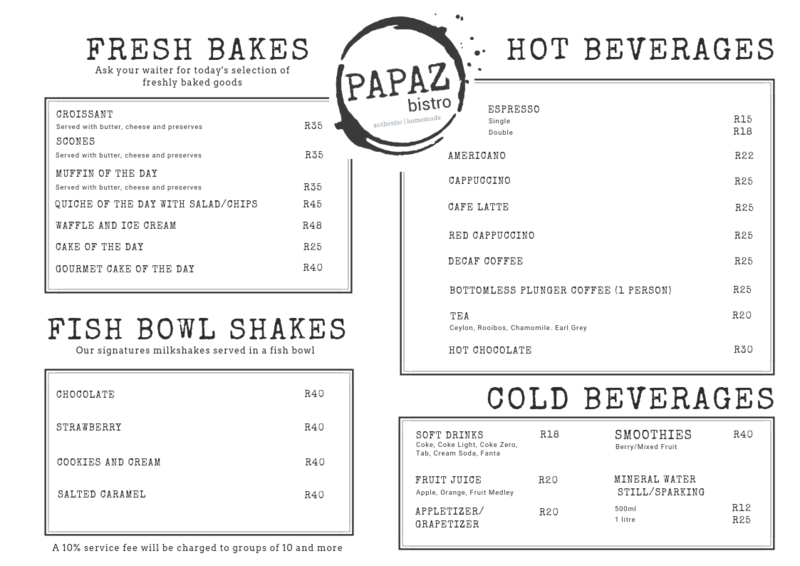 Why not book your function at PAPAZ Bistro today?